Iris Caldwell was George Harrison’s girlfriend, before he was in the Beatles, in Liverpool, England, in 1957. She later dated Paul McCartney, in 1962. Her brother was Rory Storm, whose group, The Hurricanes, had as their drummer, Ritchie Starkey, later known as Ringo Starr. Everything which has to do with The Beatles in their early years interests me. The guys and girls who didn’t make it (I’m one of them), those who got famous locally and the others who end up in neonlights. 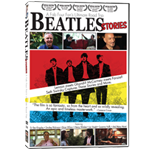 The story of the Liverpoodlian people, who lived like Ringo, George, Paul and John has to be preserved. What can we learn from it? How can it have a positive influence on us, the people? This might sound silly but: “All the lonely people, where do they all belong?” It touched me to see Ringo’s little house and I once stayed in a house at Penny Lane with a tiny concrete ‘garden’. “That’s how three of The Beatles lived!” I thought by myself. And in those kind of places, beauthiful music was born. last summer (2012) a journalist by the name of Tom Egbers published a book on Rory as he felt the memory of Alan was about to get lost. This was done as it says with the active cooperation of sister Iris who not only supplied the writer with information, but also with rare photographs of the family albums. I don’t know if the book is published in English, but I think it would give a lot of comfort to the people who were around at that time and involved with the Caldwell family. Caldwell family are very close friends of mine. I have so many fond memories of Iris and Winnie Mac also, they were my dance teachers in the 1970’s too,my Mum made all the costumes for my dance troup, and we would do shows all round different venues in Liverpool.Seems like yesterday. I’m doing research on the 1950/60’s cultural influences around the Merseybeat, Liverpool and The Beatles. I was wondering if you could advise me.. I am trying to find a name or contact for Winnie Mac dance school that was so popular at the time / or Iris Caldwell herself..
Any information would be greatly appreciated. Please feel free to contact me via email or reply to this post.